WASO’s Favourites was everything you could want from an orchestra’s season opener, the first half of the program comprising a potpourri of popular orchestral and operatic excerpts; the second, two complete and more substantial, yet equally popular, works. Joining the WA Symphony Orchestra and Chorus were local heroes, bass-baritone James Clayton, tenor Paul O’Neill and 16-year-old piano prodigy, Shuan Hern Lee. 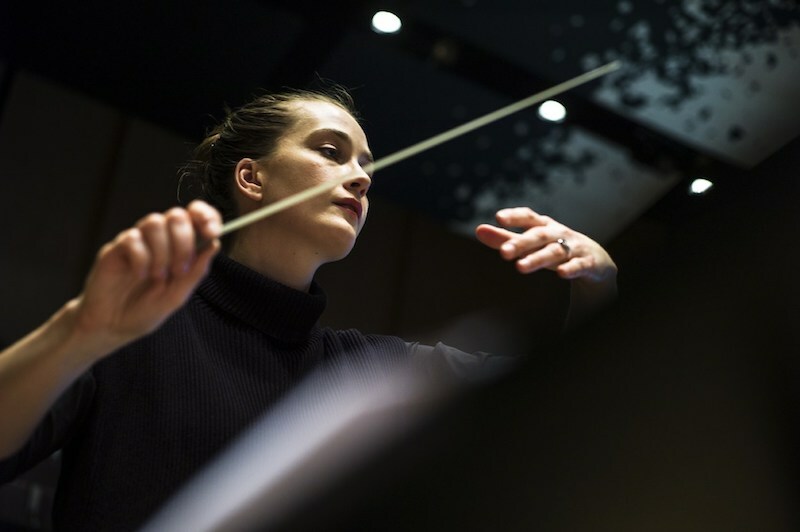 Presiding over all – and making her conducting debut with the orchestra – was former WASO assistant conductor Elena Schwarz. Proceedings got off to a rousing start with the Act III Polonaise from Tchaikovsky’s opera Eugene Onegin, after which Schwarz – currently a Dudamel Conducting Fellow with the Los Angeles Philharmonic Orchestra – turned to welcome the near-capacity audience. Borodin’s richly orchestrated Polovtsian Dances – by turns exotic, serene, martial – then called on the services of the ever-reliable if sometimes underpowered WASO Chorus before Clayton leapt onto the stage to reprise, at least for one aria, his role as Leporello in last year’s Don Giovanni with WA Opera. By now, Clayton could perform Madamina, il catalogo è questo – otherwise known as the Catalogue Aria – in his sleep. But he never makes it feel that way, and nor did he on this occasion, maximising a comically expressive use of gesture to underscore the surtitle-less text. The warm applause spoke for itself. A glowing rendition of Mascagni’s Intermezzo from Cavalleria Rusticana allowed Clayton time to catch his breath before returning to the stage with O’Neill for Bizet’s Au fond du temple saint, the Act I duet from The Pearl Fishers. Here, too, orchestra and soloists were in their element, while Schwarz ensured a clean, direct approach, the schmaltz factor turned down a few notches. Not as fortunate as his fellow singer, O’Neill received no rest after this, launching into an impassioned account of Puccini’s Nessun dorma from Turandot. A master of managing his vocal resources so as to extract maximum expressive value for minimal cost, O’Neill had the audience enthralled, his thrilling top notes especially impressive. Glinka’s sparkling Overture from Ruslan and Ludmilla then gave the strings a thorough workout, while closing the first half in the same spirit as it began. Aaron Copland’s orchestral suite derived from his ballet, Appalachian Spring and shot through with American folkloric and spiritual elements, opened the second half of the program. Here, one felt a shift in gear, Schwarz and the orchestra leaving the party behind them and refocussing to deliver an impeccable performance of Copland’s extraordinary score, at once evocative of American history and mythology and a still crisp, angular contemporary language. Yet another gear change came with yet another famous piece of Americana, Rhapsody in Blue. Not only did WASO relish Gershwin’s eclecticism and bold invention; musical wunderkind Lee brought to the solo piano part an astonishingly varied palette of phrasing and articulation that belied his youth. This was really something, and if it was Brahms who would have the last word and send us home, it was Gershwin’s bustling portrait of America’s Roaring Twenties which would remain firmly in one’s ears for some time.